This eleven track album was recorded at the prestigious Homesick Recording Studios with Producer Simon Janes (Mary Hampton, Bonobo, My Little Problem). It was recorded with a string of exceptionally talented musicians including Nelson Day (The Beautiful Word), Paul Holland (Definition of Sound), Ben Townsend (Lucky Jim), Andrew Stuart Buttle (Common Tongues). "Creating the album “Inner World” with Donna Fullman was a labour of love with some very talented musicians. It was all about space, texture and feeling, letting the performances breathe. Technically, mic placement played a big part, there’s lots of room mics on this album. Valve and vintage pre amps certainly helped too. It was very much about getting it right at source so you’re just lifting up the faders at the end and there’s your mix, well almost! We often found ourselves stripping back the layers as we followed the heart of a song. Sometimes it was the shimmering vibrato of a single note and at others it was the roaring density of a 30 piece choir. We trusted the journey." Happiness + Victory is available in cardboard digipak cd format or individual downloads (also available through iTunes, Amazon, Emusic etc.). Featuring five songs recorded in Brighton, UK in 2008 and released on the artist’s own label Lyrically Speaking. The title Happiness + Victory was a blessing from a Cambodian buddhist monk given to Donna whilst traveling in 2008. The pack includes a full colour fold-out lyric booklet featuring exclusive photography by Gill Orsman. Donna will sign and personalize each cd before shipping anywhere in the world. "Brighton artist Donna Fullman has knocked us sideways with this lovely number. Her album Inner World is out next month and is full to the brim of equally haunting and beautiful tracks. It’s the voice that does it for us, pure, classic and bewitching.."
"“By The Fire” is very haunting, so much so in fact that in such a simple way it chills the heart and soul completely, forcing the listener to give their full attention. 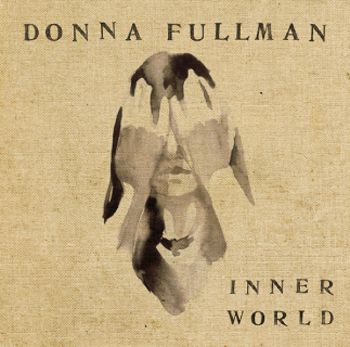 Donna Fullman has an exceptional voice, it’s beautiful, and we’d love to hear more of it."